Introducing a new level of comfort and safety – the MSA G1 mask. 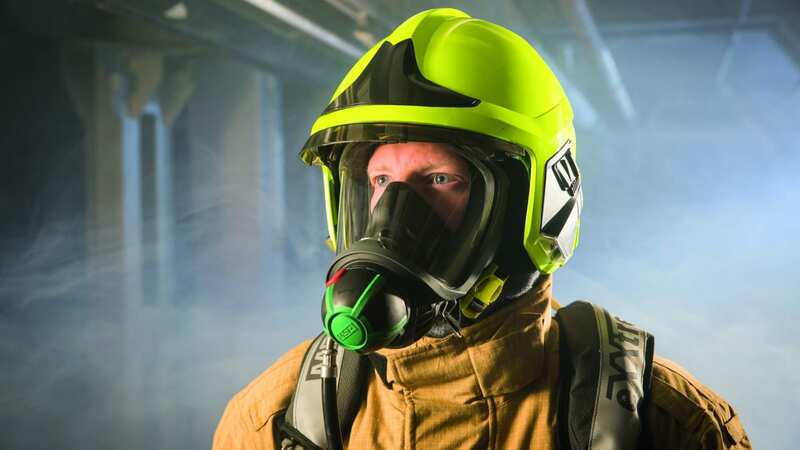 The G1 Full Face Mask is a positive pressure facepiece providing respiratory protection for firefighters and industrial first responders and is backward compatible with the MSA AirGo and AirMaXX SCBA family. The G1 mask was designed with extensive input from first responders from all over the world who highlighted the need for a comfortable, light and easy to maintain mask. The result is a full face mask with a wide distortion free field of vision, which is not only lightweight and compact with overall low profile design, it’s comfortable and built to last. The sophisticated visor of the G1 mask offers more than 90% of the natural field of vision. The wide viewing angle reduces head movements towards the viewing direction. Various mask sizes combined with different harness options or helmet attachment brackets set new standards in wearing comfort. The G1 helmet-mask combination allows easy fitting to the Gallet F1XF fire helmet – effortless, safe and with minimum pressure points. The outstanding single-sealing flange further increases the comfort while the unique airflow prevents lens misting and reduces breathing resistance. Several demand valve connectors, completely integrated into the mask, can be selected without influencing the state of the art speech diaphragm that makes communication easy to discern. Every part of the G1 mask is designed for fast exchange reducing service times and increasing operational usage time. The integrated RFID transponder provides identification for inventory management and allows easy management of PPE inventory.